In this article, we will guide you to install stock firmware for your phone using SP Flash tools. Step 3. after run SPflash tools , you load the scatter file from the stockrom folder. Step 6. waiting and when Gren ring will appear at the end of successfull flash . I cannot find the scatter file from the stockrom folder. Some help please! I cannot find the scatter file from the stockrom folder. Where is the stock rom folder? 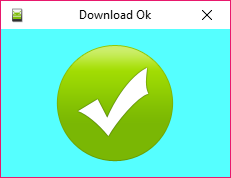 Isn’t the “1)” rar file that you suggested for TP-LINK Neffos Y5L TP801A Firmware 6.0.1 here -> https://firmware247.com/tp-link-neffos-y5l-tp801a-firmware-6-0-1/ ? For my gionee s9 “Status Brom CMD Send DA Fail” Please help . How can i fix this?